It seems there can't be enough HELLO KITTY PEZ. The latest to watch for are these full body characters. 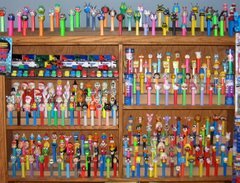 Could there be more hello kitty pez?